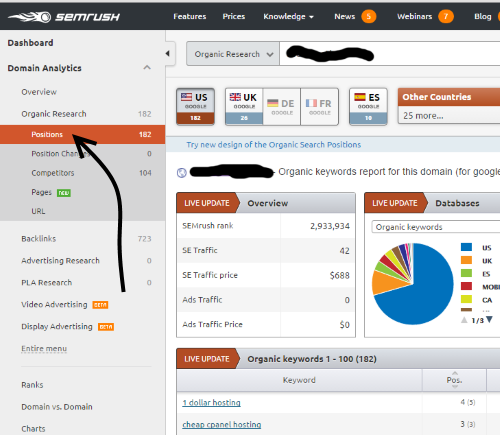 SemRush is one of the tools that always feature the “SEO tools” lists. This tool is useful to find the keywords that our more direct competitors are using for their ranking. In the following example we will use the following question as starting point: if in general lines our website is better ranked than our competitors’, or at least it is for the main keywords, what are the keywords that work for their ranking that we have not included? In theory, the competitors have web pages with a lower web ranking on average than us. 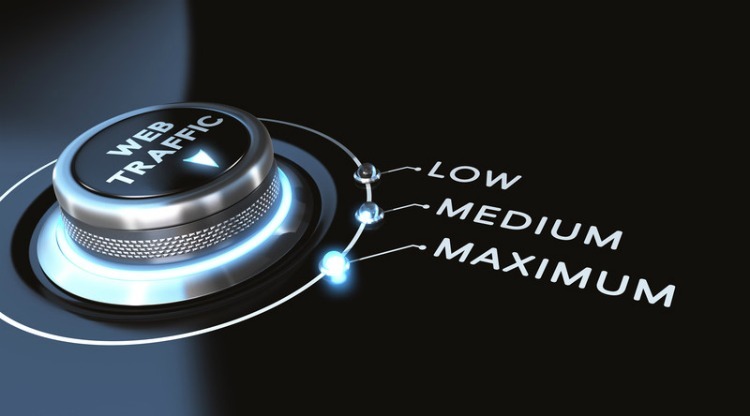 Therefore, if we try to rank using keywords that are important for them-keywords for which we do not appear or have a bad search ranking-it is highly probable that we do not need to do a great SEO effort to include those keywords in our ranking. 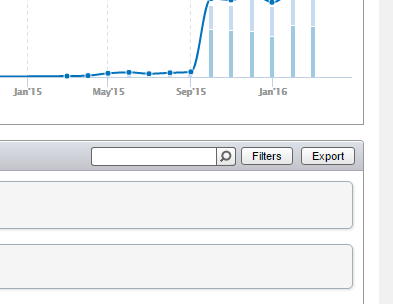 The keywords could have a low amount of searches, but they might have a good conversion. In any case, these are business keywords that can even help us with ideas for other keywords. This is a very simple analysis: we will use hosting company A, from the US; and competitor B, from the US, and also a hosting company. Both companies provide cheap hosting with similar features. For privacy issues, their names are not disclosed. In their place is a generic domain. Although in this case it is not necessary because both competitors have very few keywords for the ranking, in other cases we might need to apply a filter to include or exclude words containing the brand, or with a certain amount of searches, or those within a specific range of positions. In any case, we can also apply the filters to our spreadsheet. The next step is to export data on CSV for Excel, for example. This process can be done for both company A and competitor B. In the following Excel spreadsheet you can check out an example of how to work with data. You may do it otherwise. There are three tabs, one for analysis and two more with the data of company A and competitor B. On the original exported file there are more columns, but we deleted them leaving only the ones we need for this analysis. 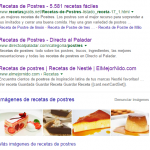 Under the tab “Comparativa” (Comparative) we include all the keywords for which A and B rank (excluding duplicates) and then we obtain the data of each of them (position and URL that is ranking). The volume of searches is the same for both. When there is no position for a word, it displays “99”. We add the extra column “Diferencia Posiciones” (“Positions Variation”) that tells us how many places above or below (if the number is negative) is company A in relation to competitor B. If we sort by column “Diferencia Posiciones” (“Positions Variation”) in ascending order, we will see the words for which competitor B is better off than company A, so we can analyse if that word is interesting for us. Note that the search volumes for this search are quite low as a result of the kind of example we have chosen. In any other more natural example there should be many more words, so we would have to filter by volume, positions, etc.